Chert is a cryptocrystalline form of quartz that forms as nodules and layers within other sedimentary rocks such as dolomite, limestone and chalk. 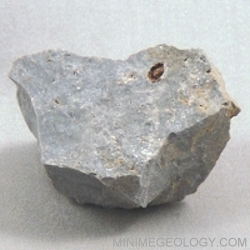 Chert is a sedimentary rock although it is often referred to as a mineral. Chert samples exist worldwide and are a common material for prehistoric arrowheads and tools as well as headstones and as a component in firearms.